According to ERR's information, Tallinn Mayor Taavi Aas (Centre) has decided to resign from his position in order to take up his seat in the Riigikogu. Tallinn City Government announced on Wednesday morning that Mr Aas would make a statement at a press conference to begin at 12:00 EEST. 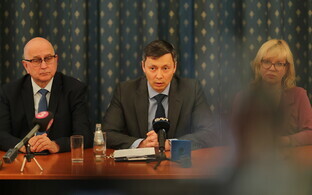 On 4 March, the mayor had told ERR that he had not ruled out resigning in order to serve in the Riigikogu. Mr Aas, who ran for election to the Riigikogu in the Mustamäe-Nõmme electoral district, earned a total of 3,931 votes in the 3 March general election. 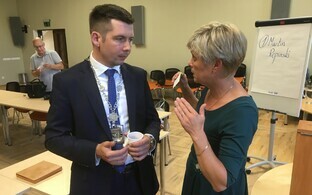 There has been speculation in the media as well as political circles that Tallinn City Council chairman Mihhail Kõlvart may take over as mayor of the Estonian capital. 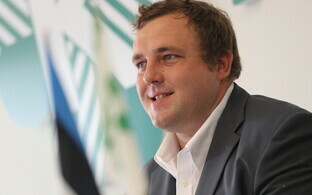 Mr Kõlvart earned 24,668 votes in the most recent local government elections. Mustamäe District Elder Lauri Laats, Central Tallinn District Elder Vladimir Svet, and Tallinn deputy mayor Vadim Belobrovtsev (all Centre), meanwhile, have also all decided to pass on their mandates in favour of remaining at their current posts. "I have thoroughly considered my decision, and I will continue working in Mustamäe," Mr Laats said according to a press release. "To be honest, following the election results, I thought that I would be heading to Toompea Hill for four years, but the people of Mustamäe have persuaded me otherwise. I was very surprised that I received so many congratulatory messages, a large number of which concluded with, 'But please don't leave our city district!'" According to the city district elder, who earned 3,251 votes in the Riigikogu election, young people from the Mustamäe Youth Council had even begun collecting signatures in support of him remaining in Mustamäe. "Naturally I am sincerely moved by this support, and I cannot ignore it," he said, adding that another reason for his decision to remain in his current position is that there is still plenty of unfinished work left to do, including the construction of the new Kaja Centre, the renovation of the district's schools and kindergartens, and an overhaul of Männi Park. Vladimir Svet said that: ''"I believe I can do more for my voters in Tallinn than as part of the legislative power,'' according to daily Postimees. ''I have only been the elder of Central Tallinn for a little over a year, and too many plans have yet to be implemented. I am aware that trust in our party has began to waver over the past few weeks," he continued. "I also understand that by giving up a seat of a member of the Riigikogu, I am giving up a certain sense of security. In this case, however, I deem it more important to restore people's trust and meet their expectations. 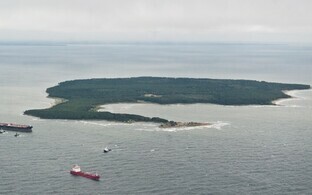 I believe that we can do that in Tallinn, where we have a strong and like-minded team," he added. Vadim Belobrovtsev has stood aside to free up his seat to long-standing MP Viktor Vassiljev (Centre), according to ERR's Estonian news portal. Due to the d'hondt system of proportional representation used at all three levels of Estonian elections (European parliament, Riigikogu and local), those who win seats at an election are not obliged to take them up. If they stand aside, the seat is allocated to the next highest person on the party's list in that electoral district, who has not already clinched a seat in their own right. 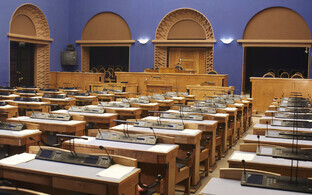 This often happens in the case of local government representatives running in the general election, for example, as well as once government ministers have been appointed (ministers do not sit in the Riigikogu). 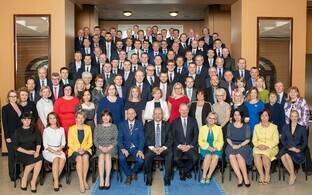 Even during a Riigikogu's session, MPs can stand down, for instance due to illness or maternity leave, and the reverse can happen if a minister returns to the Riigikogu. The latter situation happened in August last year when Urve Palo (SDE) stood down from her post as entrepreneurship minister. The ''benchwarmer'' MP who took her place, Liisa Oviir, had to make way for Ms Palo, who quit SDE at the same time to sit as an independent, although since Ms Oviir had been appointed to the Estonian Supervisory Committee on party Financing (ERJK), she would by the regulations have had to leave parliament in any case. According to daily Postimees' information, a total of four municipal politicians from Tallinn and MEP Yana Toom, all of whom were elected to the Riigikogu as members of the Centre Party, have yet to officially decide whether they will continue in their current posts or take up their seats. According to the law, all elected MPs have until Wednesday at the latest to confirm whether they will be serving in the Riigikogu. The opening sitting of the XIV Riigikogu will begin at 11:00 EEST on Thursday.